Full and luxurious freshly-cut, hand-tied bouquets from Bloom Magic’s Kilkenny florists create memories that last, both for you and the fortunate recipient of your order. Our florists weave the freshest blooms into opulent arrangements and drape them in a luxurious wrap for next-day Kilkenny delivery. Bloom Magic makes it possible to send a marvellous and special gift instantly without fuss, so you can be at ease, knowing that blooms sure to amaze are on the way. Our bespoke collections have been created by Kilkenny’s finest florists, and host exceptional arrangements only found on BloomMagicFlowers.ie. We locally source our flowers as much as possible and minimise packaging, so that the blossoms you select are as earth-conscious as they are attractive. Yet it’s the appreciation for minor details that is put into every floral arrangement by our Kilkenny florists which makes it special and ensures it brings about lifelong memories. Select your ideal bouquet and then incorporate individualized trimmings, such as a vase or chocolates, to design a gift that’s as unique as its recipient. From the moment you first visit our site until long after your bouquet has been delivered, we're dedicated to providing you with exemplary service. 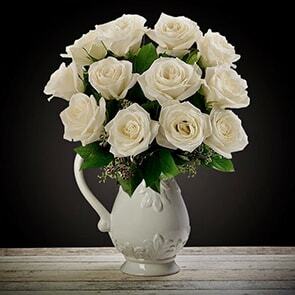 With team members committed to providing the finest service available via instant message, email and telephone, it’s quite easy to pick the right floral arrangement for your Kilkenny next-day flower delivery. In addition, we guarantee the longevity and excellence of our blooms so they can be enjoyed for at least a week if not more. Simply make sure to follow our care tips in our guide to get optimal enjoyment out of the flowers received. Regardless of the circumstance, Bloom Magic has the right bouquet for your needs. We realise no two occasions are ever the same, which is why we have taken extra care to ensure there is a bouquet to suit every taste and occasion. Full and vibrant arrangements are available for life’s exciting moments, such as birthdays and wedding anniversaries. Want to congratulate someone on their move to Kilkenny? Send them new home flowers by selecting your favourite bouquet from our extensive selection. 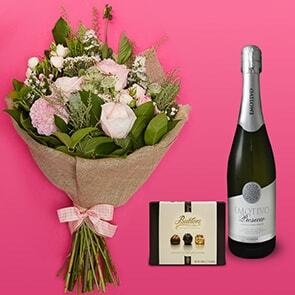 We also have a variety of bouquets exceptionally suited to welcome a new arrival to the family – with our next-day delivery to Kilkenny it is now easier than ever before to send new baby flowers to the new parents. We also create elegant bouquets that will adequately express your concern in times of loss or illness. We have a beautiful collection of funeral flowers and sympathy bouquets that are designed to show the affected family your love. We also offer various customisation options with every delivery; you can upgrade your bouquet to contain up to 50% more flowers, add a beautiful vase or a note, or select a gift from our gift section.